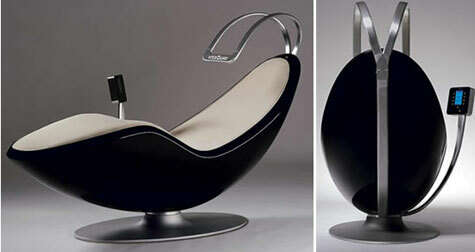 This Vita Life Spa chair. Shaped aptly to contain our body in a perfect relaxing pose, this is chair also comes with some kinda versprecht metal sensors over the head. Some kinda screen too on its side….may be to control the settings. It helps in relaxing via vibration, sound and color stimuli.it’s the price tag of 16,000 euros.